Ottawa Valley Gift Baskets - A Taste of the Valley in Every Basket! A Taste of the Ottawa Valley in Every Gift Basket! Ottawa Valley Gift Baskets is proud to call the Ottawa Valley home! 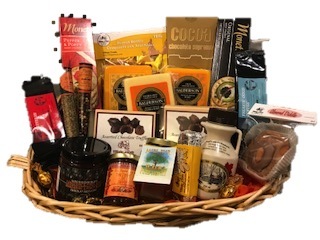 Ottawa Valley Gift Baskets has over twenty (20) years experience in the corporate and retail gift basket business. We feature and promote fine food items from the Ottawa Valley. We are constantly exploring the marketplace for new tasty treasures, and know that you will find all of our product selections worthy. 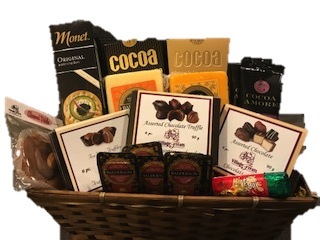 Ottawa Valley Gift Baskets features Balderson Cheese and Village Treats Chocolates in many of our gift basket offerings. We also offer these products and many other fine food items from the Ottawa Valley for sale in our on-line store - just click on the View/Order Gift Items link to see our full selection. 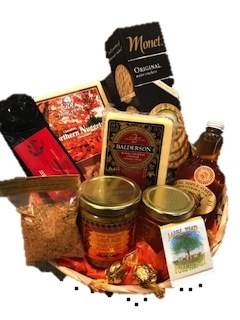 Ottawa Valley Gift Baskets has built strong relationships with all of our suppliers and we stand behind them and their products – your satisfaction is always guaranteed! To learn more about our products, the people and producers of these items, please visit the About Our Products page. Simplify your gift giving needs by sending a gift basket from Ottawa Valley Gift Baskets – the perfect gift for anyone and any occasion... Anniversaries, Birthdays, Christmas, Congratulations, Easter, Engagement, Father's Day, Get Well Soon, Graduation, House-Warming, Hospitality, Mother's Day, Sympathy, Thanksgiving, Thank-You, Valentine’s Day, Wedding Wishes...any time!